A behavior disorder can be difficult to handle and deal with, but it can be addressed and treated with several types of behavior therapy. Human behavior psychology recognizes cognitive behavior therapy as one theory. Cognitive-behavioral therapy is based on the theory that our thoughts cause our feelings and behaviors, they are not caused by external triggers, such as people, situations or events. Cognitive therapy seeks to help the patient overcome difficulties by identifying and changing dysfunctional thinking, behavior and emotional responses. This is only one of several behavior methods that have proven to be successful in treating depression, or other mood disorders that lead to behavior problems that contribute to addictive or abusive disorders. Although behaviorism theory is taught in every introductory college psychology class, it can be confusing for many students or new employees working with a challenging behavior. However, because it is used as extensively as it is, it is important to have rudimentary training when working in the behavior science fields, even as an entry level professional. Program Development Associates Abuse and Adult Behavior Store contains videos demonstrating how behavior training is used and to help professionals learn more about behavior therapy. Profiles the symptoms of Asperger's syndrome and what sufferers and their families can do to overcome the limitations that it imposes. 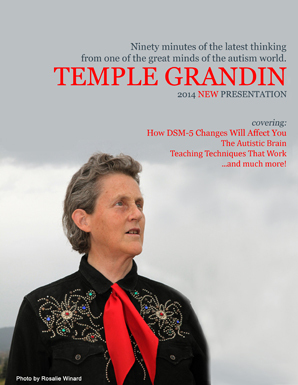 Ninety minutes of the latest thinking from one of the great minds of the autism world. This user-friendly resource provides over 50 reproducible forms and numerous intervention procedures founded in evidence-based research and standards. Looks at the pressures on parents and caregivers who are supporting a child who has been sexually abused, acknowledging that this can be a stressful and isolating experience. One in three people abused as a child will also use physical force on her or his own children. Empowers everyone to solve and prevent violence and abuse for people with disabilities. Meet three individuals and hear their up close and personal stories about how domestic violence has effected their lives. Viewers will also hear from a relationship and trauma expert. Teaches professional and family caregivers about the complexities of domestic elder abuse and neglect.